Availability: This product is discontinued and no longer available for purchase. For alternatives browse our Weight Plates department. 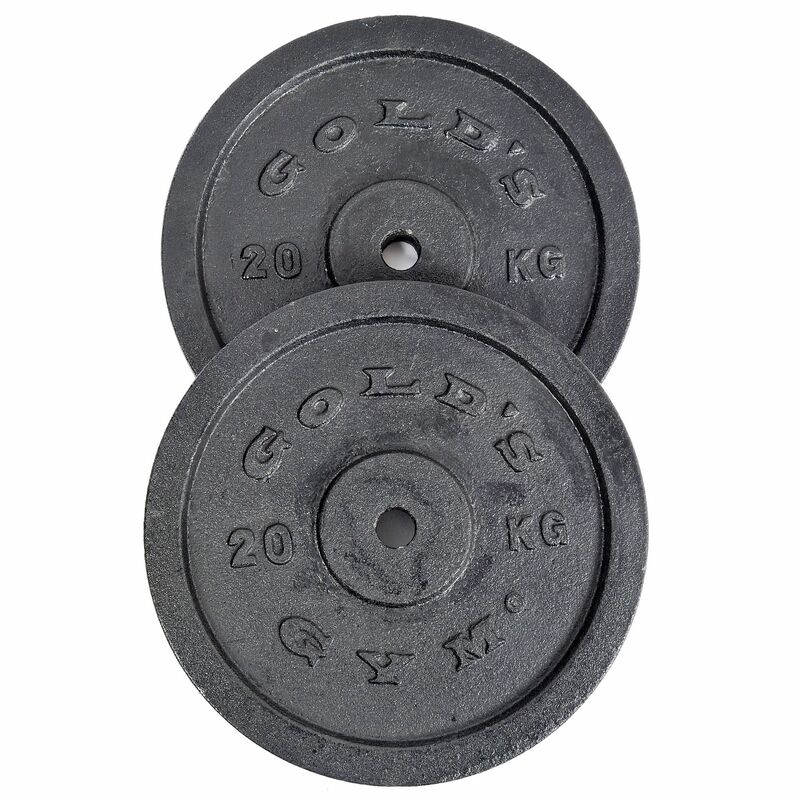 The Gold's Gym standard weight plates are supplied as a pair and made from cast iron with hammertone finish to ensure superb durability. Each of the two plates weighs 20kg (44lbs) and has an inner diameter of 1" (25.4mm) that makes it suitable for use with standard bars. These professional weight plates are precision cast for improved weight accuracy. for submitting product review about Golds Gym 2 x 20kg Cast Iron Standard Weight Plates.